Monkey’s Paw by Zmith and Stwalley is updated every Friday. 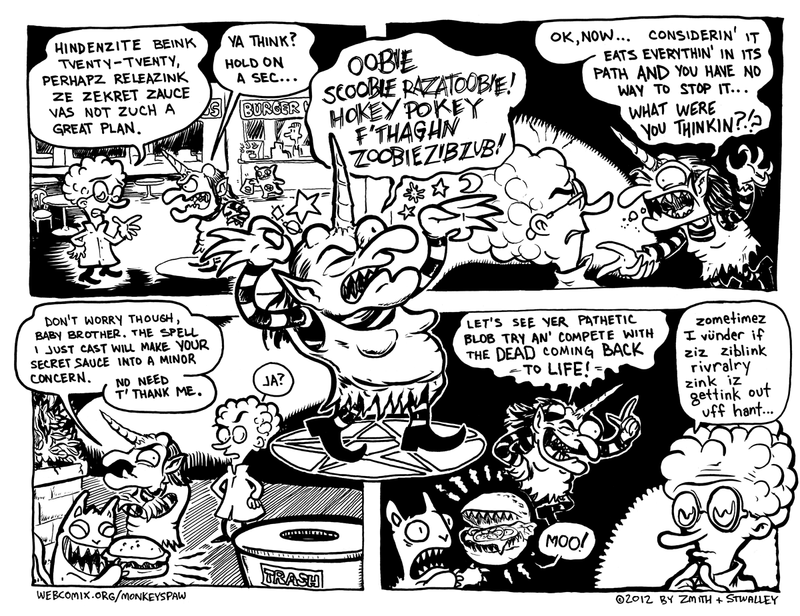 If you’re enjoying Monkey’s Paw, you may dig my other comic strip, Soapy the Chicken. This entry was posted in Collaborations, Monkey's Paw, STWALLSKULL's Comics by STWALLSKULL. Bookmark the permalink.